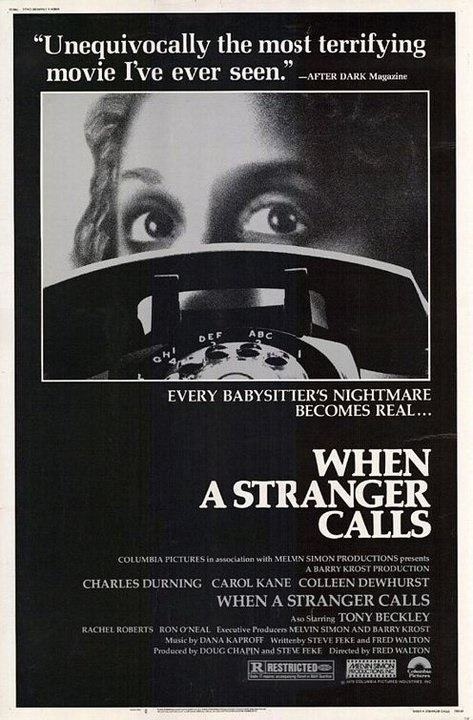 Released in 1979 When a Stranger Calls is a movie that more often than not draws very mixed reactions from the viewers and I personally understand why so many people hail this as a classic and others say how boring the movie was. But the one thing people most agree on is the opening act, which I’ll get into in just a little bit. 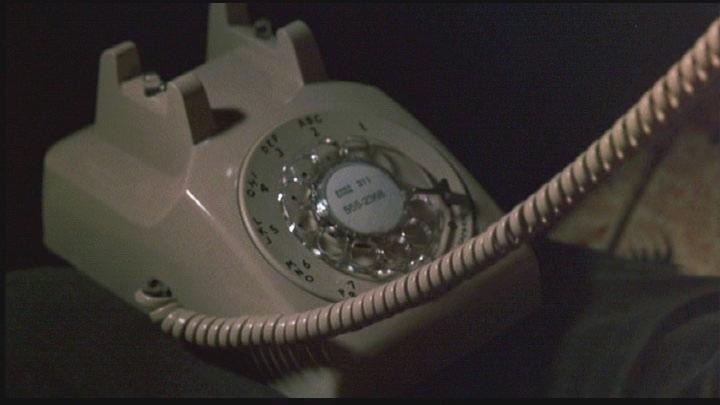 When a Stranger Calls is often linked in with the slasher movie and while the movie isn’t a true slasher flick it does however feature many elements that slasher movies would exploit in the 1980s. At the time this was released the slasher flick was just about to get going with the success of John Carpenter’s Halloween in 1978 and while it wasn’t the first slasher movie it was the first to have major success in the box office. 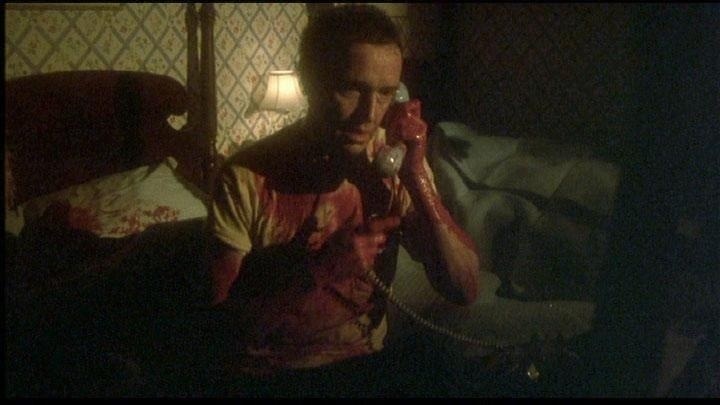 For those expecting When a Stranger Calls to be a straight up slasher movie you might find yourself disappointed and I often wonder had this movie come out a couple of years later would it have also exploited the clichés found in slasher flicks? I’ve seen so many horror movies and out of all the horror movie I’ve seen I would have to rate the first 21-minutes of When a Stranger Calls to be the very best opening acts I have ever seen and most likely ever will see. The opening act is prime example on how to truly create suspense and tension; the opening act should be essential viewing for anybody that wants to work in the horror genre, from the writing, which was simple, but highly effective, to the way it was directed, shot, edited, scored and acted I was on the very edge of my seat and I don’t think any horror movie had this much effect on me. The opening scene was truly terrifying and also it was simplicity at its very best. Each minute of the first act raises the tension unlike any horror flick I have ever seen. By the time you reach the end of the opening act you’ll be held in such suspense that scaring you is now simple. Any filmmaker can create a jump scene where the killer or ghost or whatever pops out of the corner and most of the time jumping back is just simply a reaction. How many movies have you watched where you jumped back, but weren’t scared at all? It’s just a reaction and any filmmaker can do that regardless if they are a good filmmaker or a hack, but I would say most of the time in jump scenes we just react and aren’t really scared unless the scene is set up well, but a simple jump scare anybody can create. As I stated the reviews for the movie are mixed, but even those that didn’t like the movie often cite the opening act and I honestly cannot think of a movie where I was held in so much suspense that I was on the edge of my seat. After the opening act When a Stranger Calls does slow down and this is where the criticism is often aimed at and a lot of people found the middle sections of the movie boring and I really can’t argue against that since it wasn’t the most exciting, but on multiple viewings I have gained a little more appreciation for what the movie was doing and again it may not be the most exciting, but it does work fairly well, but the opening act was so amazing and in reality I don’t think any filmmaker would have been able to sustain that throughout the entire movie. The screenplay written by Steve Feke and Fred Walton was overall pretty good; the first act was very well written and extremely creepy, but after the opening act the film changes focus. The opening act has Jill Johnson (Kane) babysitting and she starts to receive phone calls the caller simply asks “have you checked the children?” After the opening we find out the caller Roy Duncan (Beckley) killed the children Jill was babysitting and was locked away in an insane asylum, but escaped and John Clifford (Durning) is now on the hunt for Duncan. The middle sections of When a Stranger Calls plays out more like a crime/drama with a few moments of suspense thrown in along the way; Feke & Walton take an interesting approach and the easy thing to do would have been to focus on Jill and perhaps have Duncan stalk and kill her friends and I suppose that would have been the more crowd pleasing angle to take and that’s why I mentioned earlier if this movie were made a couple of years later if it would have gone down that road. 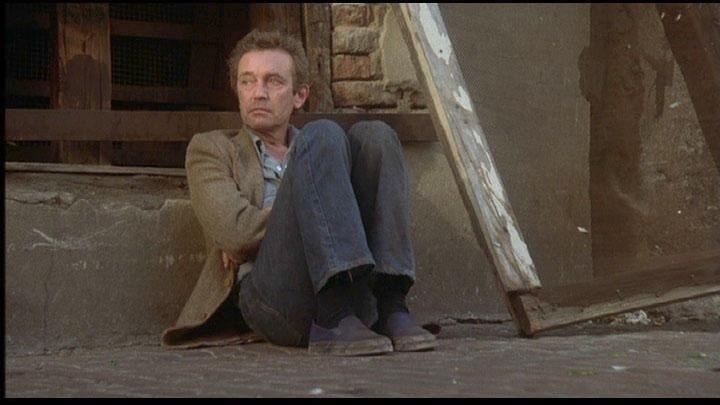 The script mostly just focuses on Duncan is homeless and rather pathetic as we see him begging for money and wandering around and we even see him get beat up at a bar and like I said the character is rather pathetic and almost sympathetic due to that, but seeing as he’s a child murderer there really is no sympathy for him. The other portions of the script has Clifford going around looking for Duncan and after a while the script does start to repeat itself and while I more than understand the complaints, but I liked the direction the screenplay took even if not the most exciting. The script might drag in certain aspects, but overall I found the movie well-written. 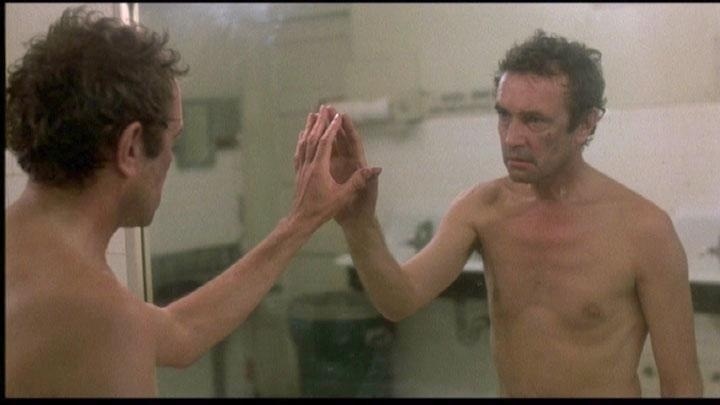 As director Fred Walton again delivers in my opinion the most terrifying opening act that is prime example on how to make a horror movie and yes I would rate When a Stranger Calls a horror movie simply for the fact, Walton’s goal in the end is to scare the audience with the suspense. Just because When a Stranger Calls doesn’t rely on gore and jump scares doesn’t make it any less of a horror movie. The middle sections of the movie Walton does a good job at least I thought so in keeping the movie fairly interesting and while there are moments where it does get a little too slow Walton does though throw in a few suspense scenes to keep things moving there is a truly great suspense and tension filled scene at the hour mark. Again I fully understand the complaints, but I felt Walton really did an excellent job throughout the movie and delivers a terrifying opening act and then delivers an interesting crime/drama in the 2nd half. 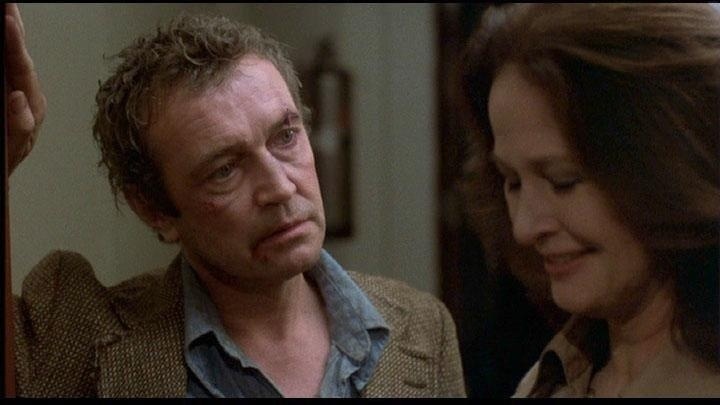 Once the final act starts we go back Jill Johnson now married with two kids of her own and When a Stranger Calls goes back to the horror aspects and the movie opens with a bang and closes with one. The final act may not be as tense and edge of your seat like the opening act was, but Fred Walton once again delivers very tense filled sequences and it does make up for the somewhat slow middle. 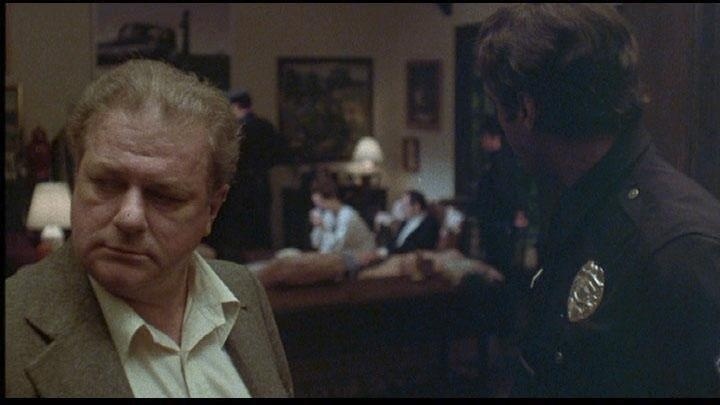 The performances were all excellent led by Charles Durning who delivers a great performance as the obsessed private detective; Durning pretty much carries the movie and does an excellent job and Tony Beckley as Duncan delivers an excellent performance. Carol Kane despite how well known she is for this movie only appears in the opening and closing acts and like I stated perhaps the more crowd pleasing plot would have been to keep the focus on Jill, but Kane is great in her role and is sympathetic and truly delivers an excellent performance as the twice tormented Jill. Despite some problems with the middle sections, When a Stranger Calls is a highly suspenseful and very creepy movie with excellent performances. I’d advise those who felt the middle sections were boring to give it another try. It does grow on you and for those who haven’t seen it just expect more a crime/drama with some suspense thrown in during the middle. But the opening and closing act just might be the best you’ll find in this genre.